Advanced Azure usage: What's the right tool to get the job done? Once your business has made the decision to use Azure as its platform for cloud computing, you’ll need a strategy for managing mission-critical workloads. At first, the Azure Management Console may seem like the preferred tool to get the job done. However, depending on how you plan to use the platform, the management console might not be the right choice for you. 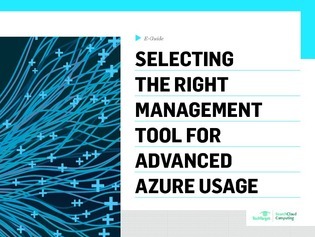 In this expert e-guide, we explore the use of the management console, examine its capabilities, and explain how you can achieve even more advanced Azure usage. You’ll find out which management tool works best for your business and get the information you need to make a strategic decision.